I should start this post by saying… I don’t like red sauce on pizza. But I like this red sauce. This spicy, garlicky, robust sauce has changed my mind. This is great on its own with mozzarella and parmesan for a fabulous cheese pizza. But of course you can add whatever toppings you like. Arrabbiata apparently means angry in Italian. This sauce would also be delicious over penne pasta. This will make enough sauce for 2-3 pizzas depending on the size. 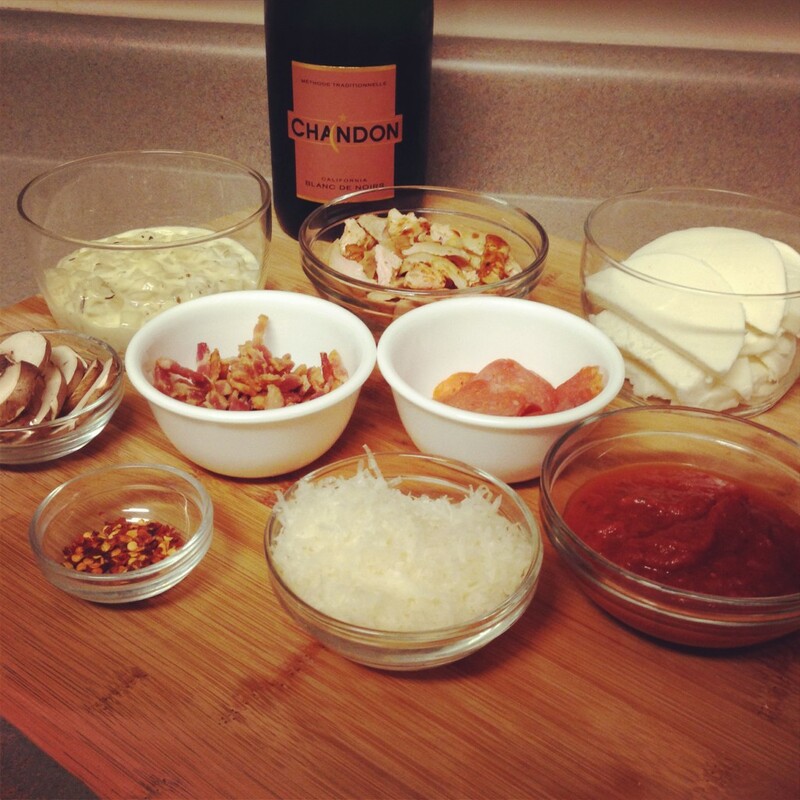 Serve this spicy pizza with Banfi Rosa Regale, a sparkling red wine from Italy. It is slightly sweet with a low alcohol content, this will complement the spicy sauce very well. This wine is typically served after dinner because it is a bit sweet. 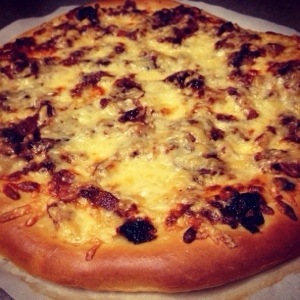 But it will be absolutely wonderful on a hot summer day with a spicy grilled pizza. In a large skillet, over medium, heat the olive oil. Swirl to coat. Add the onion, pepper, and garlic. Saute this for 4 minutes. In a mini chopper, pulse the tomatoes a few times until they are smooth. 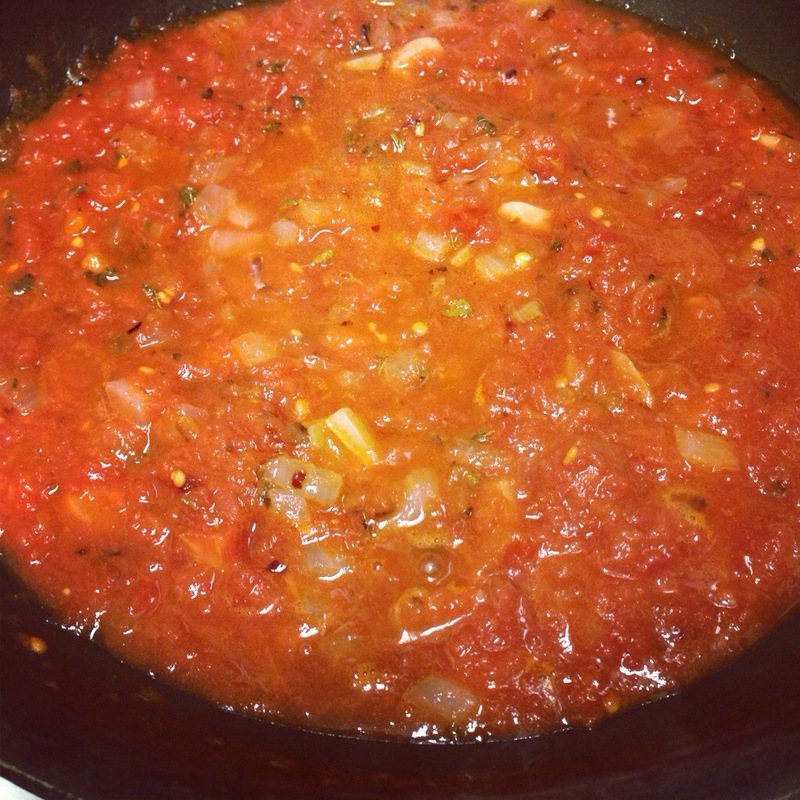 Add the tomatoes, oregano, and salt to the pan. 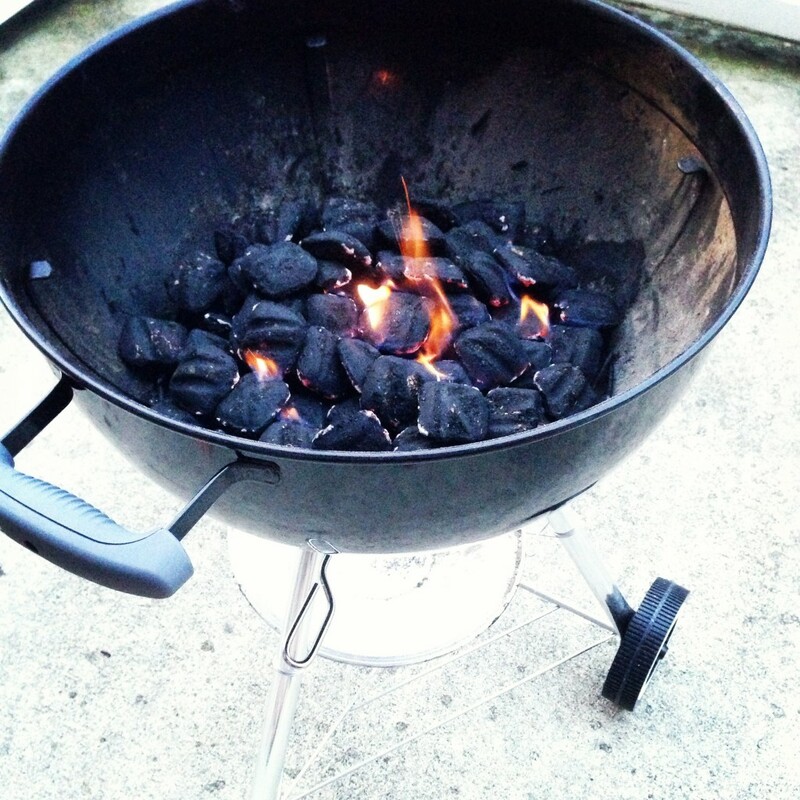 Bring this to a simmer and cook for 1 minute. This is an ideal recipe to class up your football watch party this fall. I have never been the biggest fan of tomato sauce on pizza. 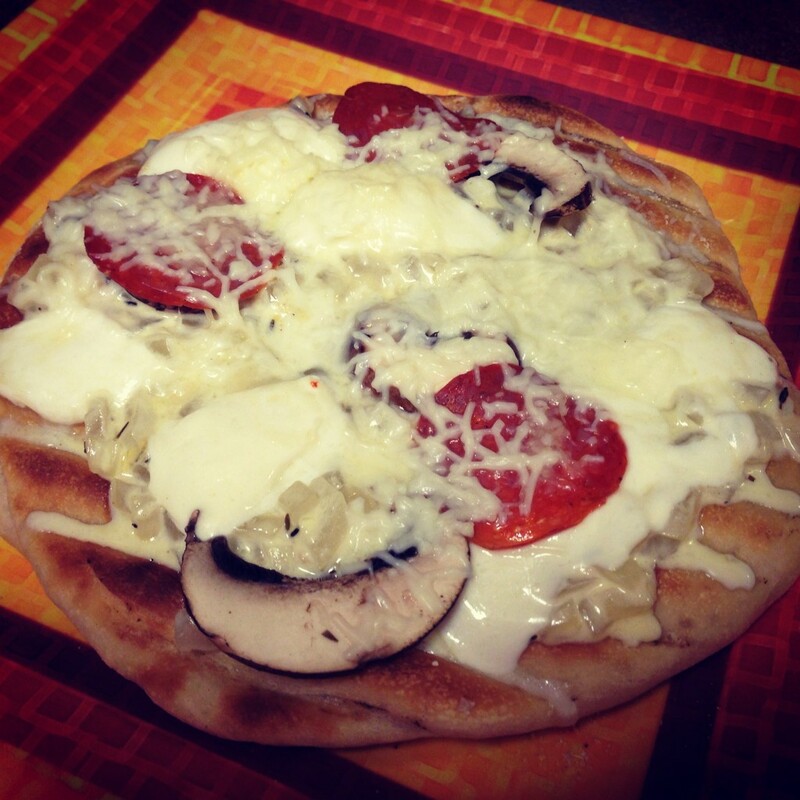 The white sauce here is simple to prepare and this pizza feels a little fancier than the usual. Obviously on game day most of the guys are drinking beer. But with this pizza I would pair Kendall-Jackson Avant Chardonnay. This is a budget Chardonnay that can be found at many grocery stores. It is buttery but crisp and goes great with the white sauce in this recipe. 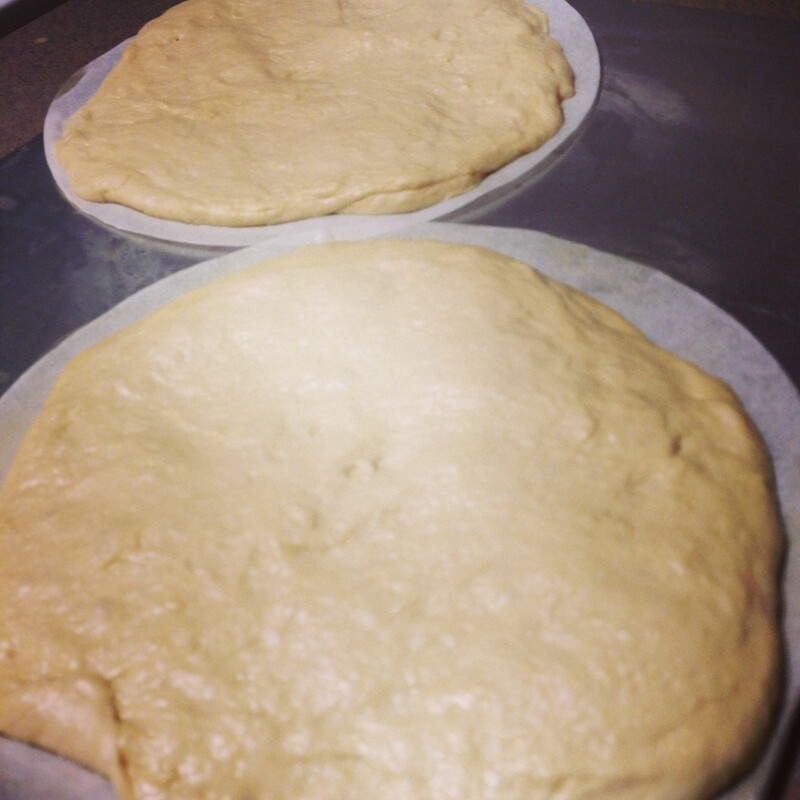 When making pizza, you can use parchment paper to roll the dough out on. This helps in transfer from the pizza peel to the stone in the oven. The oven in my apartment unfortunately is much hotter in the posterior part, thus I have to rotate everything I bake. If you have a similar problem, halfway through the baking time, you can rotate the pizza so it bakes evenly. When you rotate it you should be able to easily slide the parchment out from under the pizza. 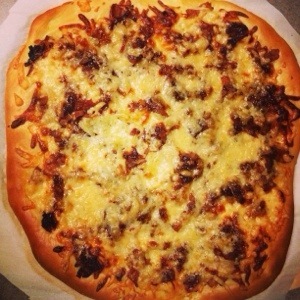 You can use cornmeal on the parchment and the pizza stone to make this go smoothly. Heat the olive oil over medium heat in a saucepan. Add the onion and sauté for 5 or 6 minutes until translucent. Add the garlic and cook for one minute, stirring continuously. Add the cream, decrease the heat to medium-low, and cook for 3 minutes, until the sauce thickens slightly. 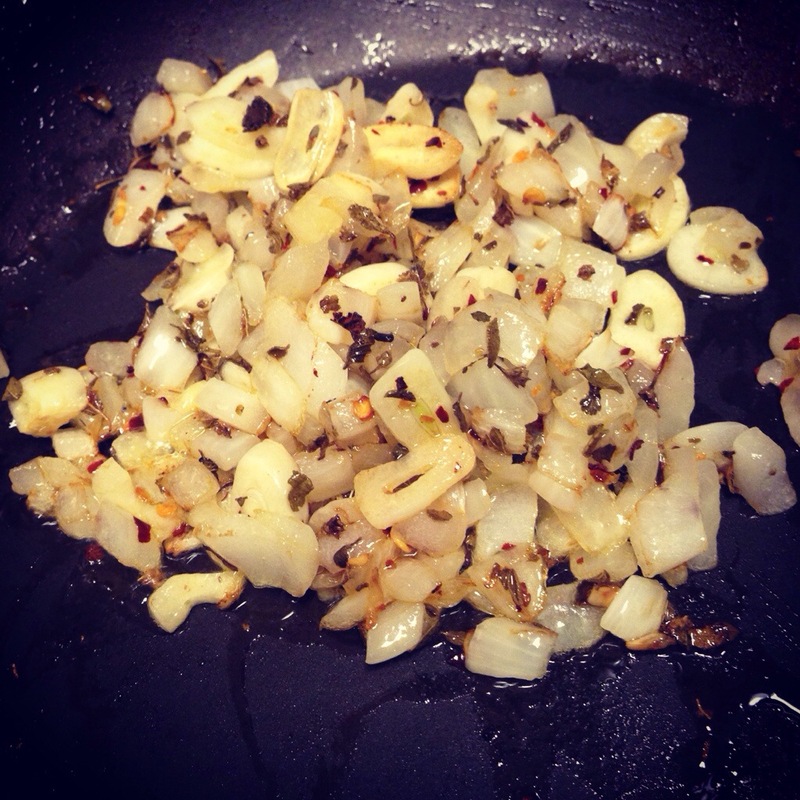 Remove from the heat, stir in the thyme, and season to taste with salt and pepper. Allow the sauce to cool. Place a baking stone on the middle oven rack and heat to 500 degrees. 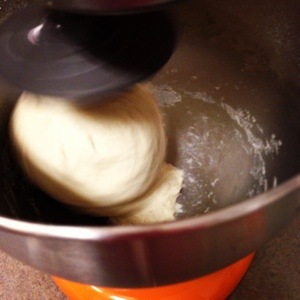 Roll out and/or stretch the dough to 12 cm. 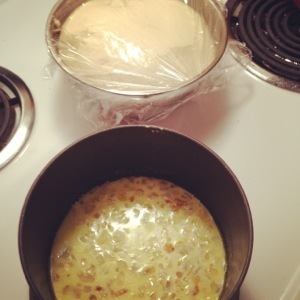 The dough should be about 1/4 inch thick and slightly thicker toward the edge. Place on a pizza peel (if using a pizza stone) or on a cookie sheet if not. Stir together the ricotta, thyme, salt and pepper. 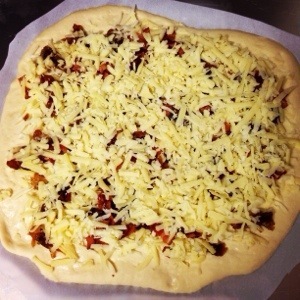 Spread the sauce over the surface of the dough, leaving a small border uncovered. Spread the ricotta mixture over the sauce. Sprinkle Parmesan and mozzarella over this. 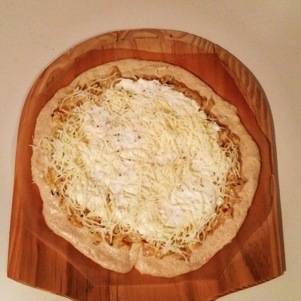 Slide the pizza onto the baking stone. Bake for 12 minutes. When it is done, the crust should be crisp and slightly charred on the edge and the cheese should be bubbling and brown in places. The underside of the crust should be brown and crisp. Remove from the oven and allow to cool before slicing. 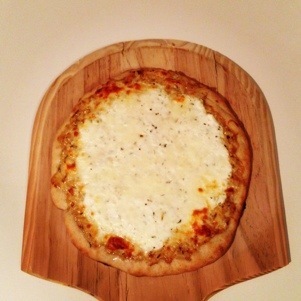 Adapted from Serious Eats New York-Style White Pizza.